Rebecca Dart, background artist on Mission Hill (TV Series 1999–2002) and character designer for My Little Pony: Friendship is Magic (TV Series 2010 – ongoing), has finally returned to the world of comics with her first solo publication since RabbitHead, the artist’s acclaimed “oversized comic for mature readers,” published by Indy Comics in 2004. 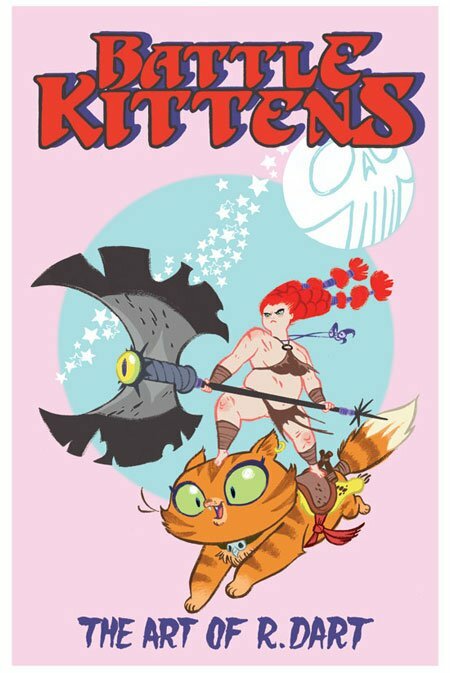 Offset-printed on high-quality paper, Battle Kittens: The Art of R. Dart is a 56-page comic-sized collection — in black and white, with 8 pages in glorious colour — of Rebecca’s amazing sketchbook/artblog drawings from the last three years. Available for order right now is the limited, 1000-copy print run first edition. And don’t delay if you want a copy, because the publisher — Rebecca’s “partner in grime,” Robin Bougie — says that when they are gone, THEY ARE GONE! Click here to place your order. PayPal is accepted. Beautiful work. I command the book now ! 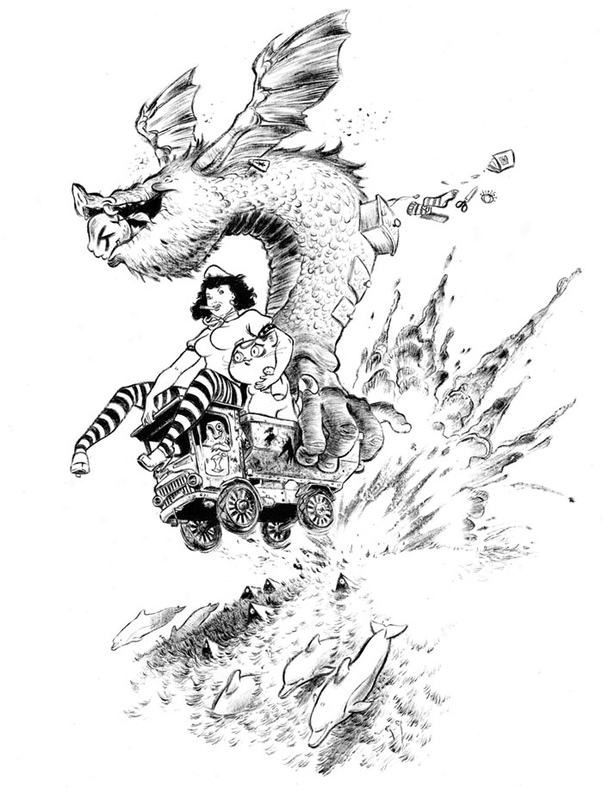 Rebecca Dart basically started out in comics in Saskatoon, Saskatchewan, but she has made tremendous progress in her art since then. Animation training seems to squeeze the individuality out of a lot of young artists, but it has clearly turned out differently for Dart. Training and hard work has given her real chops!